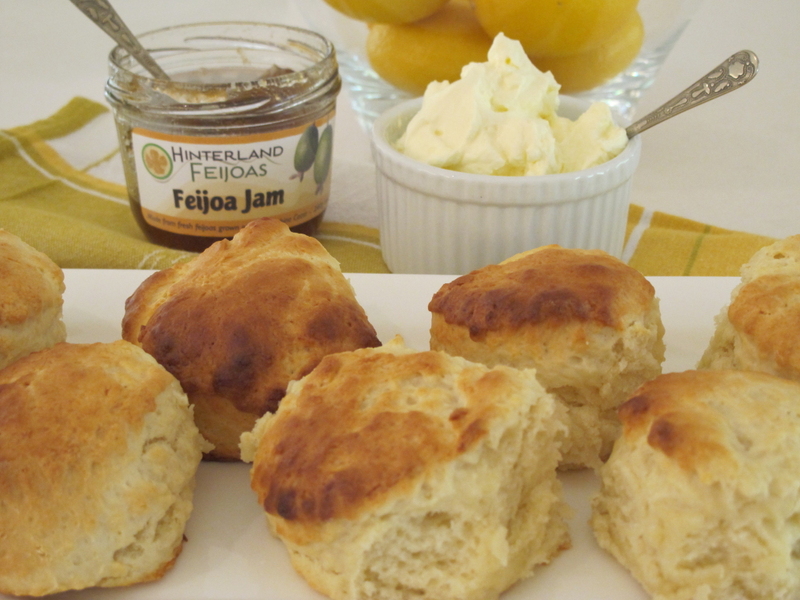 Well, there has been a lot happening here at chez feijoa… and not much of it has anything to do with feijoas. So it was with much joy that I received this gorgeous pick-me-up in the mail the other day (thank you thank you my dear sis) and they’ve snapped me out of the winter doldrums and busyness that is consuming me at present). These sweet treats are beautifully flavoured (I spent an age just sniffing them) and they even have a little bitter tang hiding in there that makes you think there’s skin on ’em. 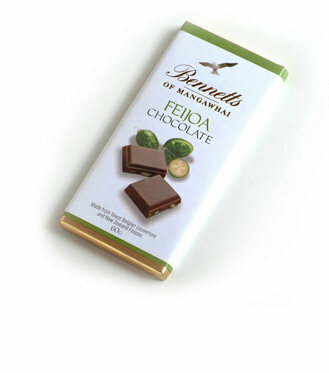 Just a perfect chewy hit of feijoa deliciousness. The packet was just a little bit too small for my liking (heh, I shared them around and the sharees liked them much too much as well) but a quick search online reveals numerous places selling them in 1kg bags! 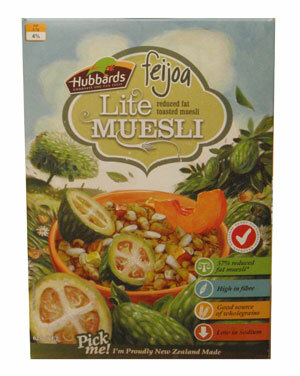 More feijoa goodness coming soon as I get back into the swing of my virtual life. I’m back from a little winter sanity break in sunny Brisbane… and I managed to track down a delightful little pie shop in Coorparoo – legendary among Kiwis by all accounts: Muzza’s Pie Shop. He’s a New Zealander, of course. I walked straight past the Kiwi-style sausage rolls, the steak and kidney pies made with the flakiest puff pastry and that old favourite Lemon & Paeroa… I had the word that Muzza stocked Fresh Up’s apple & feijoa juice. And I found it, plus a bonus discovery Fresh Up Big Fizz feijoa burst. As with anything feijoa, I have to fight off my child to get a taste but these cans of fabulous feijoa flavour are the perfect antidote to those year round cravings. 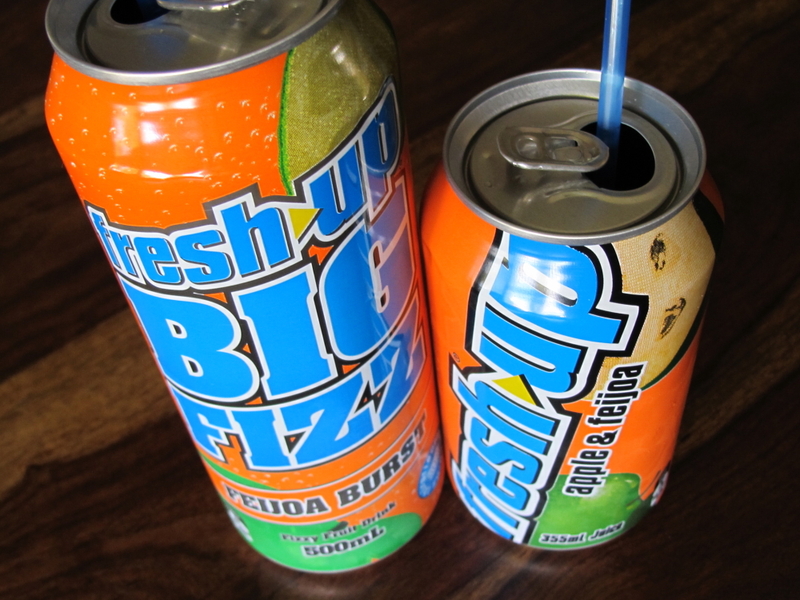 The apple mix is subtle and smooth; the big fizz has a far more intense burst of flavour that rides those CO2 bubbles all the way to feijoa heaven. I am not even sure of what they cost, I just know I was so happy. Sign of an addict, right? Now if only I could find a supplier down here on the coast. Oh yum. 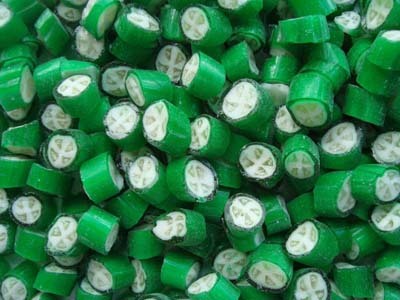 Feijoa flavoured rock candy from Crazy Candies in New Zealand. You can order your sweet addiction online at the Crazy Candies website if it’s not in a store near you! 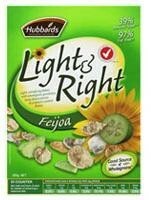 Just NZ$11.68 for a whole kilo! Smaller size bags available too. 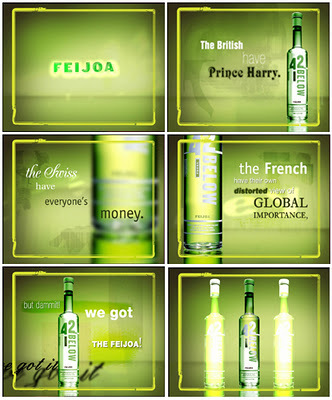 Any feijoa lover will be able to point you in the direction of a bottle of 42 Below feijoa vodka. This and those feijoa hard boiled lollies are the standby of ex-pat Kiwis who can not locate their favourite fruit wherever in the world they may be. Sadly – or happily for my liver – I don’t drink anymore but if I did, a bottle of this would be number one on my list. I can’t get enough of this particular advertising shot which just captures the essence of our favourite green little fruit. Or this one. The link leads to a broken Russian site, so I am not entirely sure where this advert originates. 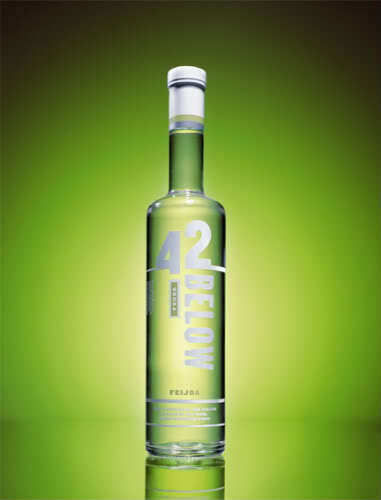 You can find out more about 42 Below and their award winning products over at 42 Below. I adore MOR Cosmetics and can often be found lingering over a display contemplating which delicious fragrance I love the most. 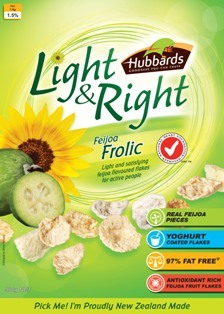 Now that I’ve just discovered they have used feijoa in one of their ranges, I’m even more of a fan. I’ve never seen the feijoa lime products in any of the stores I’ve been to (I might have to look a little harder now that I am aware of it) but you can visit the MOR Cosmetics website where you can order Feijoa Lime Soap 200g (AU$19.95), Feijoa Lime Hand Cream 100ml (AU$24.95), Feijoa Lime Body Butter 150ml (AU$29.95) or Feijoa Lime Candle 184g (AU$39.95) – all in the Emporium White Collection. 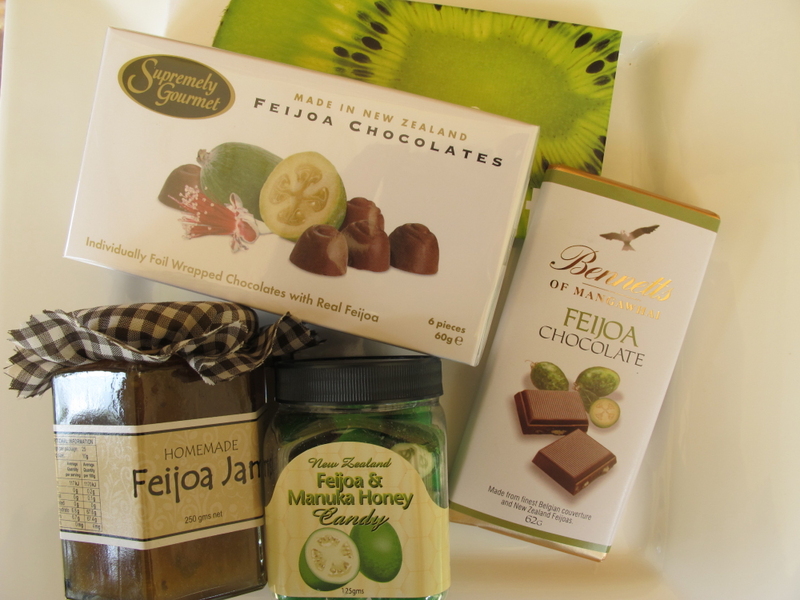 (The kiwifruit chocolate is in there as an example of the best kind of product packaging I’ve seen in a while – gorgeous). Mmmm. Back soon with a tastebud report. 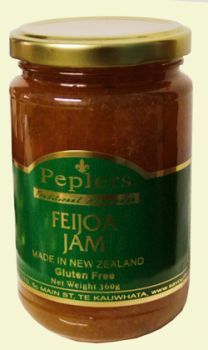 This feijoa jam is available from an Australian website Pepler’s Fine Foods Australia. It’s made in Te Kauwhata (and I had to look that up) which is in the Waikato region of New Zealand. One 300g jar is AU$6.20 at the time of writing.